ROLI and UK distributor Sound Technology Ltd are pleased to announce immediate availability of the new ROLI Beatmaker Kit. 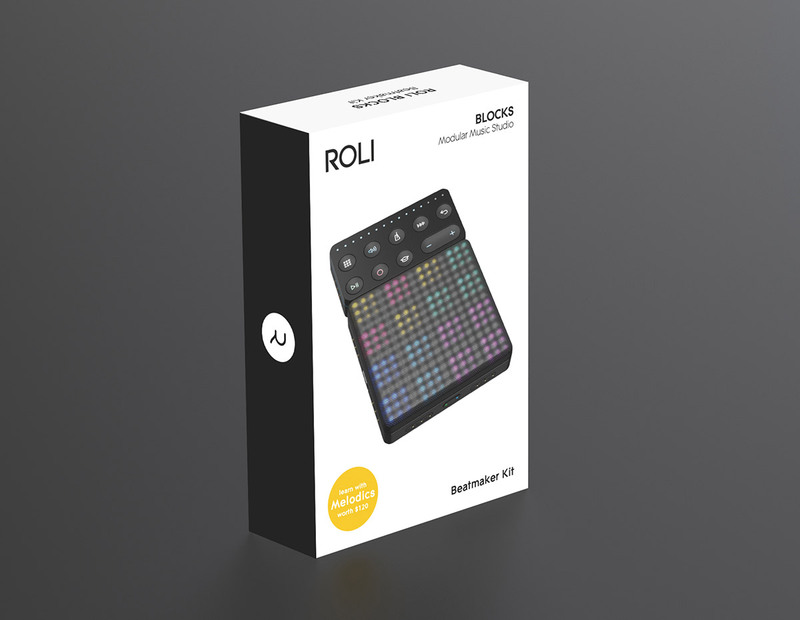 This new retail package includes a ROLI Lightpad M, ROLI Loop Block, a 6 month subscription to the Melodics learning program and a huge software bundle. The Beatmaker Kit is an expressive and portable music studio that centres on the Lightpad M, ROLI’s next generation drum pad controller. Play beats, melodies and more on its customisable, touch-responsive surface. Produce your tracks faster with the included Loop Block. Beatmaker Kit also comes with hundreds of sounds and a bundle of high-powered music software for bringing your beats to life. It also includes a 6-month subscription to the Melodics learning program, so you can improve your finger drumming skills. Control Digital Audio Workstations (DAWs) and desktop software programs with ROLI Dashboard. Plug Beatmaker Kit into your workflow, customise your surface, and use your Kit as a controller for Ableton Live, Logic Pro X and many more. A cutting-edge Digital Audio Workstation (DAW) that performs seamlessly with the Lightpad’s multidimensional expressive surface, Tracktion Waveform 8 helps you visualise and edit your projects with a range of features that are approachable to learners, but also powerful for professionals. The ROLI Beatmaker Kit is available now priced at £249.95 RRP inc VAT. ROLI is exclusively distributed in the UK and ROI by Sound Technology Ltd. For more information please call 01462 480000 or visit www.soundtech.co.uk/music-retail/roli.